Guaco Taco, the recipes anyway, have been filling the hungry bellies of family and friends for over 30 years. Our concept is simple: make our food delicious, fresh and affordable. Then each taco is filled with hand prepared fillings to satisfy a wide range of tastes. 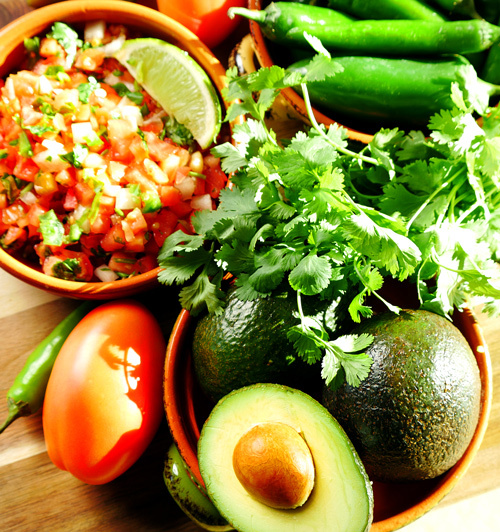 We make our salsa, guacamole and Guaco Green sauce from scratch. Guests that enjoy a spicy mix should try the Guaco Green sauce. We cool the tomatillos and puree it with Serrano peppers, avocados and a variety of spices to really kick the heat up. Another specialty dish is the Mexican Gumbo. We took the best of two cultures – Mexican and Cajun – combined the flavors into a unique Gumbo that is filled with sausage, chicken, vegetables and Mexican flavored infused broth. Be warned – it’s on the spicy side?